Imogen's Typewriter. 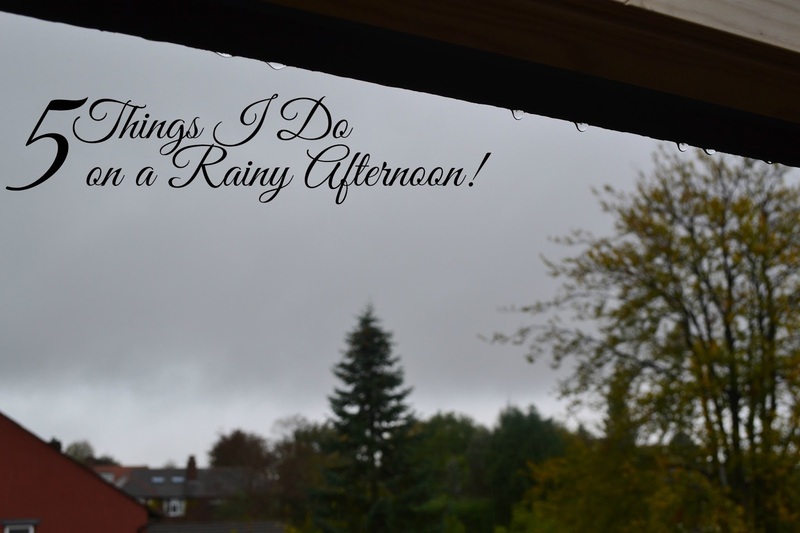 : 5 Things I Do on a Rainy Afternoon! Back in August I wrote a post for Beauty Bits 'n' Blogs about 5 things I do every day and really enjoyed writing it, so I thought I would write another one and maybe turn it into a series! Today, 5 things I do on a rainy afternoon. 1. Get in my comfy sweatpants. If I have nowhere to go, you can bet I'm in sweatpants but on the rainy afternoons where it's chilly and you just want to curl up in bed- I break out the super sweatpants. The two sizes too big, huge pockets, four inches too long sweatpants. You've just got to be comfy on these days, who needs real pants anyway? 2. Sit under my skylight. I put my sofa right under my skylight for this very reason. The rain just sounds nice and calming against the window and I can look up and see nothing but cloudy sky which is strangely reassuring. All without getting rained on! 3. Light a couple candles. I ration my Bath & Body Works Leaves candle since they're so hard to get but on afternoons like this I just have to break it out. I've been trying these new Heart & Home candles* from IWOOT and the French Vanilla one is the perfect way to add sweetness to the spice. 4. Curl up with a good book. Rainy afternoons were invented for reading, everything else like TV and Music can drown out the sound of rain but reading is perfect. I lose hours at a time in a brand new world if I have the right book. Extra points if it's raining in the book, which it probably is if the book is based in the UK. To break up the long hours of sitting down reading, I like to get up and whack on an episode of Welcome to Night Vale in the background while I tidy up. 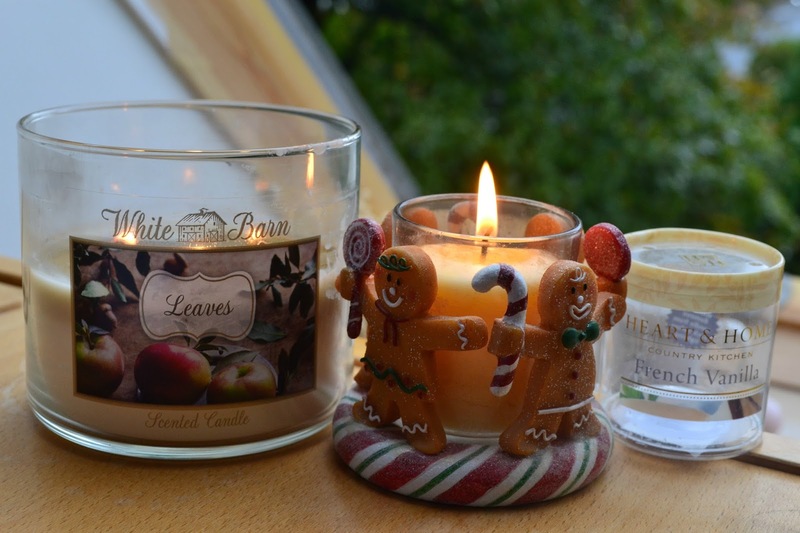 Clutter and the Autumn just don't go together, and whacking a couple things on Ebay will prepare your Paypal account for Christmas! 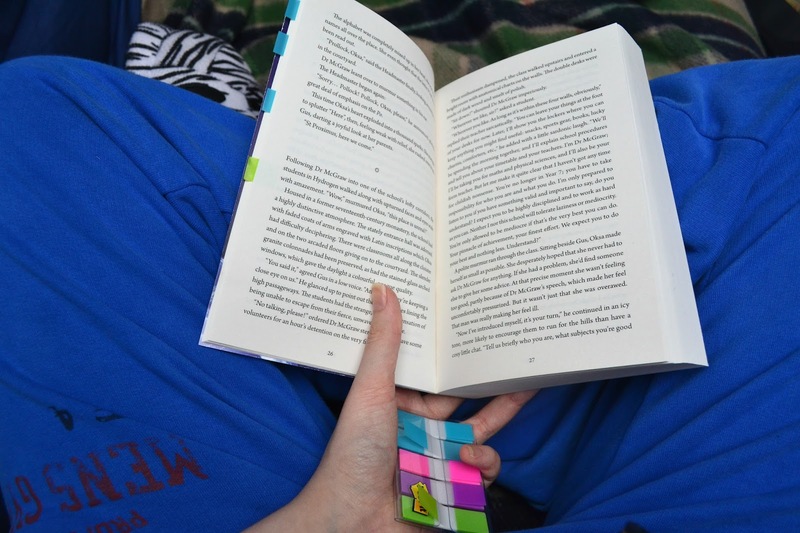 What do you do on rainy afternoons? *I was sent the candles to try. IWOOT is an affiliate link.